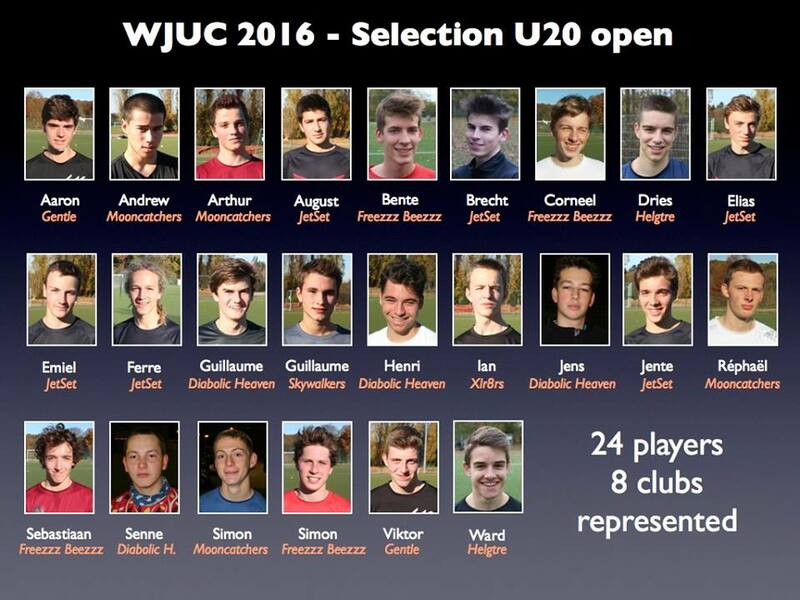 Final Results WJUC 2016, Wroclaw (8/22/2016)- Our U20 team scored a wonderful 9th spot out of 29 teams at the WJUC. 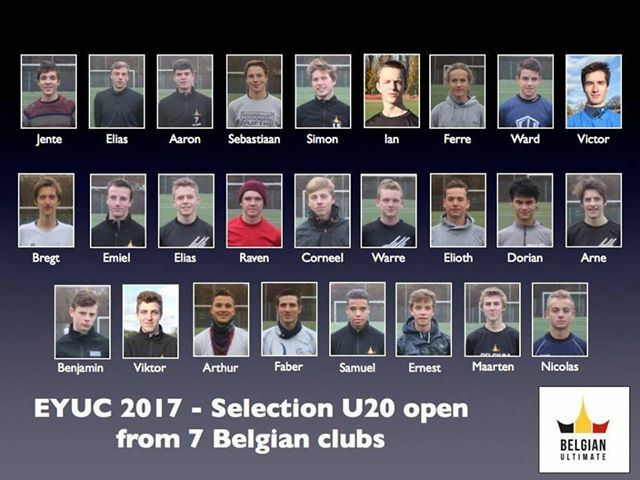 Have a quick look at the final standings below or go to www.wjuc2016.ultimatecentral.com for the more detailed results. 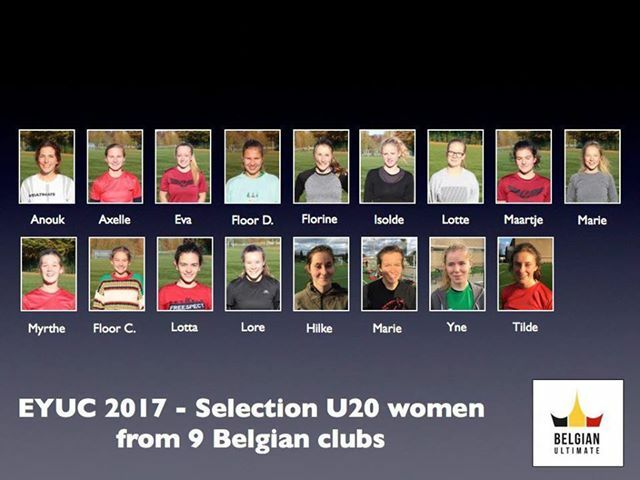 National Junior Team U20 WJUC 2016 (Wroclaw) (12/28/2015)- Have a look at the Junior U20 team that will defend the Belgian honor in Wroclaw during WJUC 2016!